Keeping track of domain name jurisprudence | wipo.int | www.wipo.int/amc/en/domains. Third-party websites offer UDRP search tools with limitations, such as UDRP Search, DNDisputes and DomainFight.net. WIPO Domain Name Decision: D2015-0131: ".... the Panel finds that the Complainant has not made out its case that the Respondent had no rights or interests in the disputed domain name and the Complaint fails under this element of the Policy... 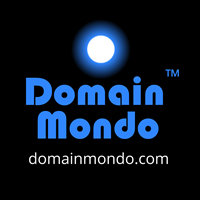 This is not one of those cases where the disputed domain name contains a very well reputed mark and even though it has been used passively is likely to have been registered with knowledge of that mark for the purpose of later sale, or for potential use contrary to the trade mark owner's interests. The Complainant has characterized the Respondent's registration as use in bad faith by "parking" the disputed domain name and in this manner disabling it from being identified by search engines. However in circumstances that the Respondent clearly did not register the disputed domain name in bad faith and has merely been holding it passively pending the determination of its strategy, the Panel fails to see how this could amount to disrupting the Complainant's business and therefore to use in bad faith. In this light the Complainant's case seems to the Panel to be contrived and entirely without merit. The Panel therefore finds that the disputed domain name has neither been registered nor used in bad faith and that the Complaint fails under the third element of the Policy. 7. Decision: For the foregoing reasons, the Complaint is denied. In the Panel's view findings of reverse domain name hijacking should be reserved for circumstances where a complaint amounts a clear abuse of the Policy. This Panel usually prefers to give complainants the benefit of the doubt in this regard, but this is not such a case. For the reasons set out above, it seems to the Panel that this Complaint is without merit at all and was entirely contrived in order to obtain a domain name that someone else had bona fide registered many years prior to the commencement of the Complainant's business. Following the initial refusal of the Complainant's offers for purchase of the disputed domain name the Complainant thought that it could force the position by filing a complaint under the Policy. Even after the Respondent's indication that it would now be prepared to sell the disputed domain name, the Complainant insisted upon proceeding in any event. The Complainant, coming from Yorkshire, should have known that this is not "cricket". The Policy is intended to alleviate cybersquatting and not as a tool for commercial bullying. The Panel considers that this Complaint is an abuse of the Policy and that the Complainant should have known better, particularly in circumstances that it had legal representation. Accordingly, the Panel makes a finding of reverse domain name hijacking in this case. --Alistair Payne, Sole Panelist, Date: March 14, 2015"
WIPO Overview of WIPO Panel Views on Selected UDRP Questions, Second Edition ("WIPO Overview 2.0"): "Decision-making authority under the Uniform Domain Name Dispute Resolution Policy and Rules (UDRP) lies exclusively with the appointed panels. To assist awareness of their views on certain questions that commonly arise in proceedings under the UDRP, the WIPO Arbitration and Mediation Center has produced the following update and extension of its informal overview of panel positions on key procedural and substantial issues. This WIPO Overview 2.0 includes new decision references supporting each line of opinion, with over 380 decisions (formerly 100) from over 180 (formerly 80) different UDRP panelists now listed. Reflecting the evolution of the Domain Name System and UDRP jurisprudence, the number of issues included in the WIPO Overview has doubled. While some of these issues arise only infrequently, all of them are, or are perceived to be, relevant to the operation of the UDRP. On most of these issues, consensus or clear majority views have developed. Certain other questions attract a diversity of views. The WIPO Center's identification of questions and careful and conservative evaluation of opinions is based on some 20,000 UDRP cases it has administered through March 31, 2011. Detailed information on all views is available from the WIPO Center's online Legal Index of WIPO UDRP Panel Decisions, its full text decision search facility, and the full posting of all decisions..."
The Rise of a Secondary Market for Domain Names: A Tale of Competing Interests (pdf) by Attorney Gerald S. Levine.